Digging even deeper into the Seattle permits and property records (full disclosure here: I can see the Esmay building from my house, so I have a vested interest), it looks like a Scott Staple’s burger restaurant is definitely maybe in the works. According to documents from August, Heather and Scott Staples are officially leasing the Esmay building from the Schlamp family and have been proceeding with all of the permits and official documentation under the name of Columbia City Artisan Burger. 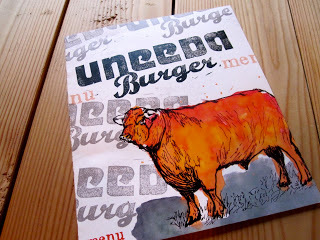 In short, although still definitely a rumor at this point, a Columbia City Uneedaburger may very well be a possibility. Greenhouse residents, it may be time to start getting prepared for an across-the-street temptation of gourmet, or rather, artisan burgers, fries, and shakes at all times…maybe the neighborhood we will even get some real outdoor seating. UPDATE: none of this appears to have played out. The building is now for rent. My only thought is that the most recent permit activity looks to be from August or so of 2013 so it seems their plans may have changed. That could definitely be the case. I was a bit hesitant to post anything due to the dates. However, the fact that Wynn + Associates presented to the Columbia City Review Committee in August, followed by Heather Staples in December, and then Wynn + Associates again just this month suggests that it may very well still be in the works.